When an individual accumulates and then receives funds distributed from a financial asset to provide retirement income, there are 2 key values: After-Tax Rate of Return (ROR) and the After-Tax Income stream. Various taxes must be taken into account when saving for retirement and receiving retirement income such as federal and state income taxes, and federal and state capital gains taxes. In 2016, the top ordinary income tax bracket remains at 39.6% for high earners. The capital gains rate remains at 15-20% depending on total taxable income. Plus, the Affordable Care Act continues to levy an additional 3.8% tax on certain “passive unearned income” from investments. In addition, the Affordable Care Act continues to levy an additional .9% FICA tax on “earned income” for the Hospital Insurance (HI) portion of FICA for these same high earners. When all the federal and state tax rates are combined, the top marginal tax rate for high income taxpayers could easily approach 45-50% going forward. When faced with these high combined tax rates, this can make it difficult to accumulate the amount needed to provide sufficient after-tax retirement income for those subject to these high tax rates. (1) A hypothetical financial asset where income taxation on gains are levied throughout both the accumulation and distribution phases versus …..
(2) A competitive cash accumulation IUL policy where there is no income taxation on policy cash value throughout both the accumulation and distribution phases. A comparison is then made of the hypothetical After-Tax income streams available at retirement. Assume a 50 year old professional will allocate $30,000 per year for 20 years (age 70) into a personally owned non-qualified retirement fund. The individual has already maxed-out 401(k) qualified plan contributions and needs a supplementary source of retirement funds. Starting at age 70, withdrawals will be made from this non-qualified retirement fund for 15 years (age 85) to provide retirement income over and above any 401(k) or IRA distributions. Assume a combined blended ordinary income/capital gains tax rate of 25% is levied on any taxable gains during both the 20 year accumulation phase and the 15 year distribution phase. Finally, assume a non-guaranteed 6% pre-tax rate of return (ROR) which, in a 25% tax bracket, nets out to an After-Tax ROR of 4.5% during the full 35 year hypothetical projection from age 50 through age 85. •$30,000 annual outlay per year for 20 years ($600,000 cumulative) grows to a non-guaranteed after-tax value of $983,494. This assumes a pre-tax ROR of 6% and an after-tax ROR of 4.5%. •With a level after-tax distribution amount of $91,577 for 15 years, the $983,494 fund will be totally depleted and fall to $0 at age 85. •At the current assumed crediting rate of 6%, the policy will also provide a non-guaranteed tax free death benefit of $100,891 at age 85. •To achieve these income tax free results, the policy must NEVER be allowed to lapse. A lapse of a heavily loaned contract in a gain position is a taxable event. Upon lapse, the recaptured gain would be ordinary income and generate a Form 1099 from the insurance carrier. 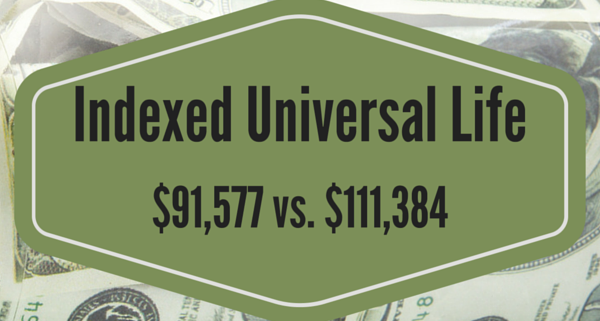 Of course, since the policy has lapsed, there is no cash value left to pay the tax on this “phantom income” gain amount.As illustrated from the hypothetical example above, a non-guaranteed Indexed UL policy may provide a higher after-tax income ($111,384) when compared to an alternative non-guaranteed financial asset ($91,577). And the life insurance policy provides an additional tax free death benefit to the family of the insured that the alternative financial asset does not provide. 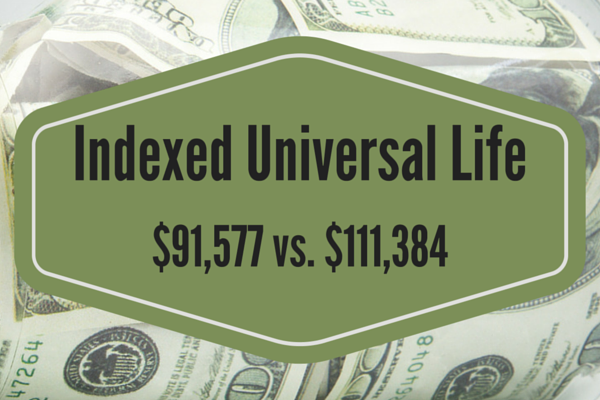 Contact your BSMG Life Insurance Advisor for competitive information on insurance carriers offering Indexed UL.